It is the first time someone gets hurt in a collision involving one of Google’s driverless cars. According to the company, the other car’s driver is at fault. 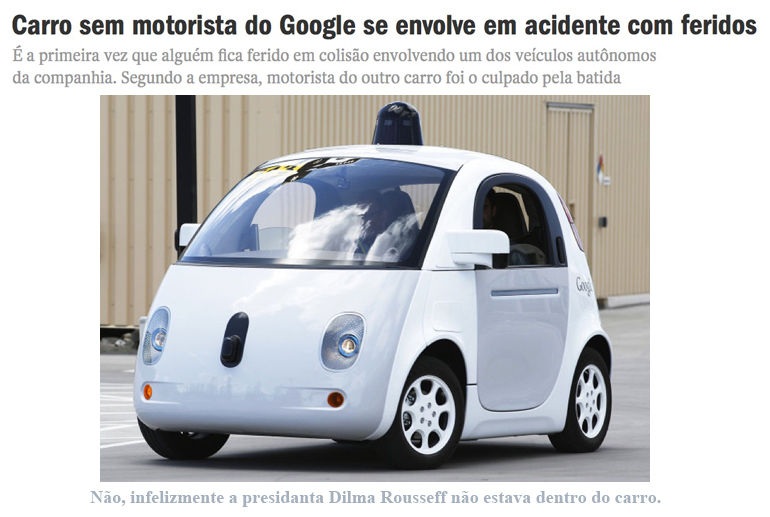 No, unfortunately president Dilma Rousseff was not a passenger.